The delay of the Cygnus cargo shuttle reminds us that space companies are on the forefront of technological exploration and you cannot afford to take even the smallest detail for granted. 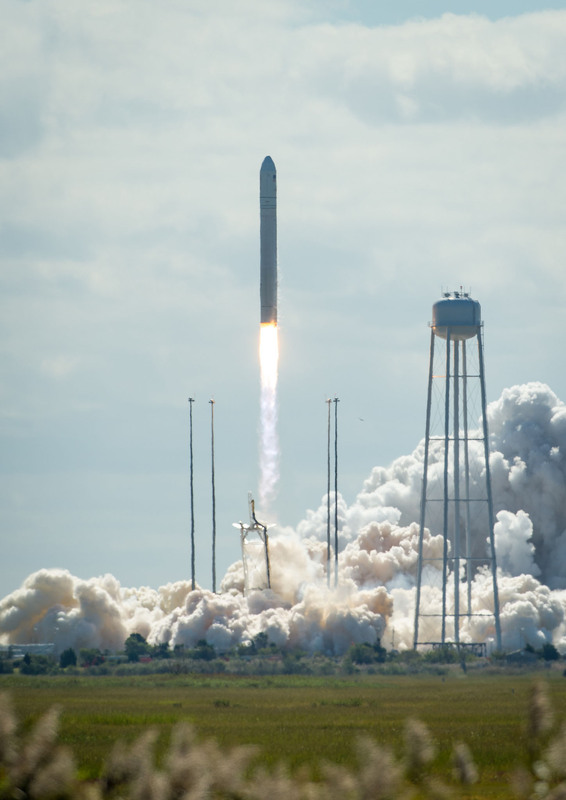 Cygnus is also proof that the experience gained over 40 years of space travel is not lost: despite the software problem that postponed the approach and capture of Cygnus, the cargo and the Station’s crew was never in danger. We work under tight margins in spaceflight and any mistake can have catastrophic consequences so it is comforting to count on the teams in control centres on Earth that protect us and minimise risk and allow us to work in the best conditions. The support of these men and women is an extraordinary privilege, something that, once again, you cannot take for granted. It’s almost 21:00 on the Station, we just passed the terminator and outside it is already night as we fly over Kazakhstan. Most of the lights around me are off, but the windows of the Cupola reflect the blue light from the robotic station monitors. I try to use a window cover from the Space Shuttle – left behind years ago from a Shuttle mission – to reduce the brightness, but I doubt I will see anything. At launch, Baikonur will be approximately 30° below the horizon, several hundred kilometres away. 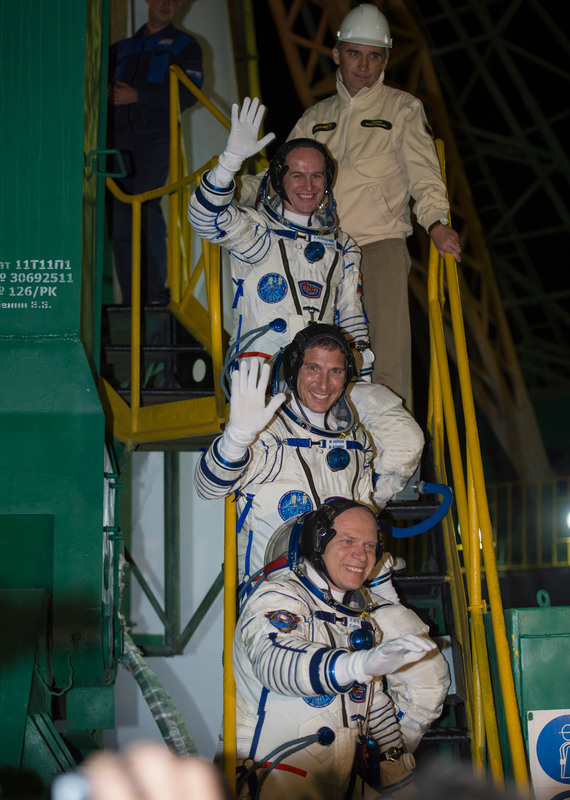 I’d like to see the departure of Soyuz TMA-10M: inside there is the crew that make up the other half of Expedition 37, but above all there are three friends who will fill the void previous crewmembers Chris, Sasha and Pavel left. 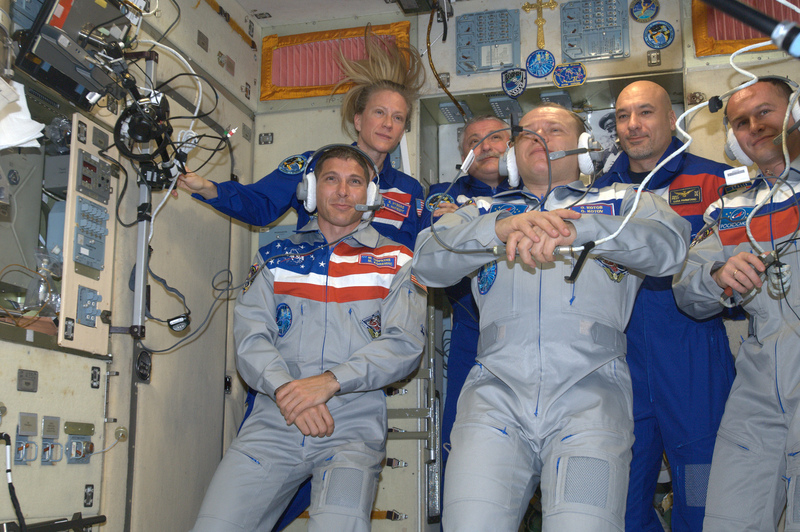 I imagine the new crew strapped into in their seats, busy checking procedures, intoxicated by a controlled excitement. I know their every thought, because just a few months ago – a lifetime ago? – the same thoughts went through my mind. I imagine the launch through their eyes, looking serious, focused, confident, and I can hear every sound that goes through their headphones. I cannot see anything and I read with disappointment on my watch that the time of departure is past: Karen, who was with me up to this moment, leaves to pursue other tasks. I decide to stay put for some time, and I look at the few man-made lights still visible in the Kazakh desert. One of the lights seems to shine brighter than the others. It attracts my attention and I know I am looking at the Soyuz ascending to space. I call Karen, but she cannot hear me and I cannot look away. The light, far away, increases in intensity and with a final glorious blaze it disappears for an instant and starts once again, but less intense. I realised that I probably just witnessed the separation of the third rocket stage although I cannot be sure. The Space Station continues its flight and the Soyuz disappears beyond the horizon, it is as if the glorious spectacle of a few moments ago never happened. But I saw them. 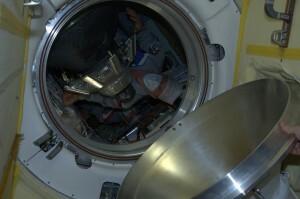 Fyodor has opened module MRM2’s hatch and the locking mechanism. 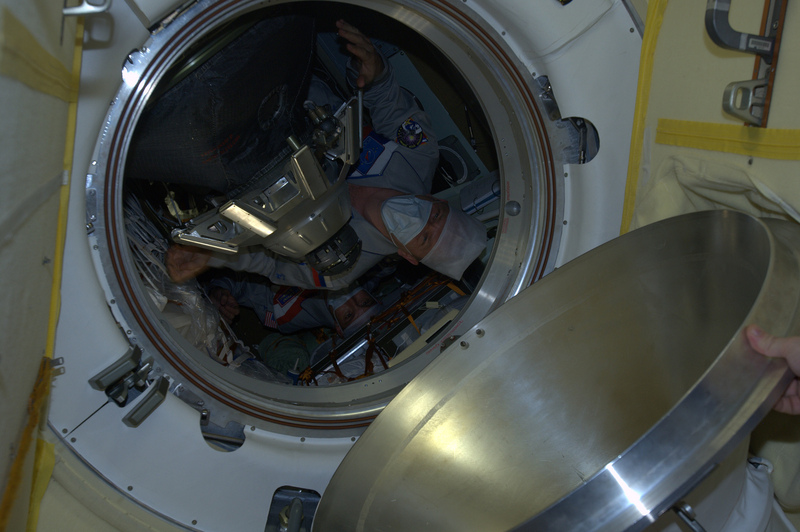 The sensors on the hatch look reassuringly solid space equipment and are clearly visible. We wait for the crew of the Soyuz on the other side to rotate the wheel to open the hatch and join us. When finally Oleg turns the wheel, the opening is surprisingly quiet. In contrast, we are loud as we laugh and welcome the newcomers with a warm embrace. The small space is filled by the Expedition 37 crew. Our irrepressible joy overflows to the rest of the Station. Time goes by incredibly fast up here, but my arrival a few months ago seems like a distant memory, yet very vivid: watching the expressions on my friends’ faces, I see the same exuberant blend of emotions that overwhelmed me when I arrived. The surgical masks they wore to surprise us cannot hide the smile in their eyes. During the calls to family and friends who followed the launch events from the ground I hear the emotion in their voices – unchanged even thousands of miles away. I remember my mother’s first words on the day of my arrival: “Luca, it’s your mum here …” – as if I had not instantly recognised the sweetest of all voices, a sound that even the noise of a space engine could never hide, a melody that even the vacuum of space could never change.